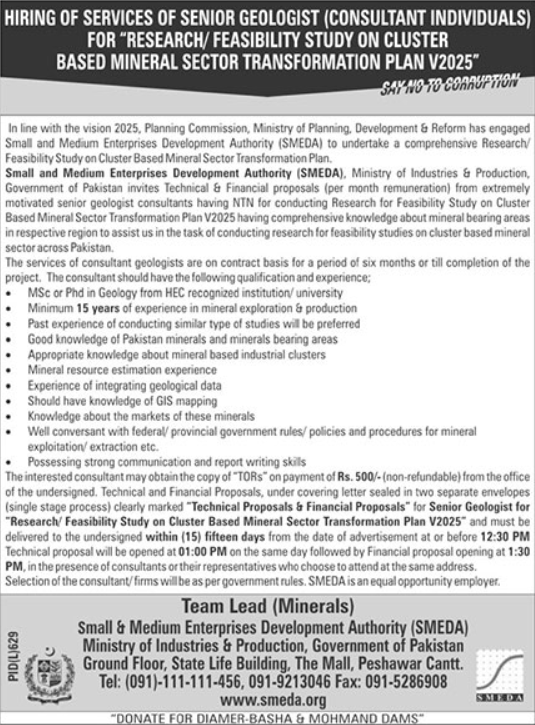 Mineral Sector Senior Consultant Jobs SMEDA Pakistan V2025. Copyright The Daily The News Newspaper Pakistan. 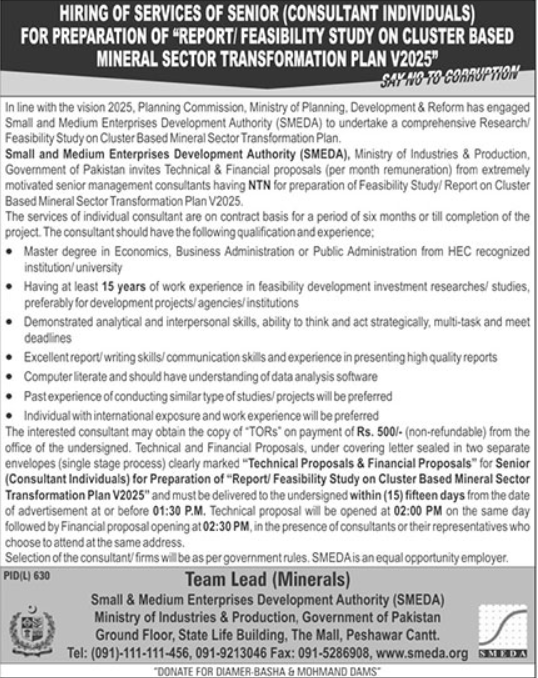 Senior Geologist Consultancy Jobs SMEDA V2025 Peshawar Pakistan. Copyright the Daily The News Newspaper Pakistan. 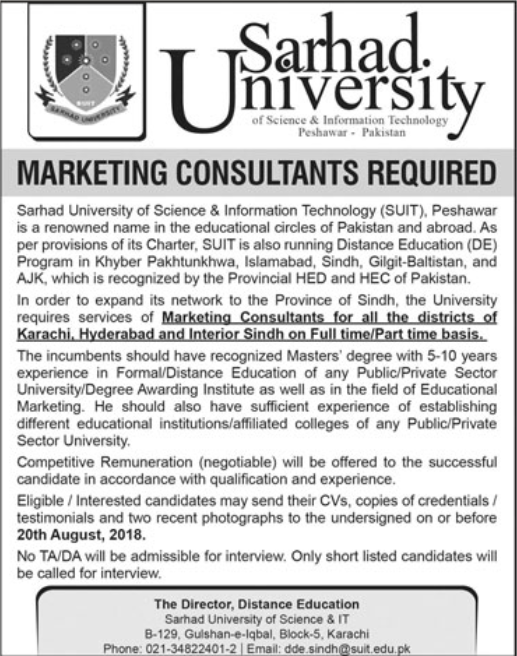 Marketing Consultant Jobs Sarhad University Peshawar Pakistan. Copyright The Daily The Jang Newspaper Pakistan. Islamia College Peshawar Lecturers Jobs August 2018. Copyright The Daily The News Newspaper Pakistan. Jobs In Peshawar High Court Vacancies 2018. Copyright The Daily The News Newspaper Pakistan. 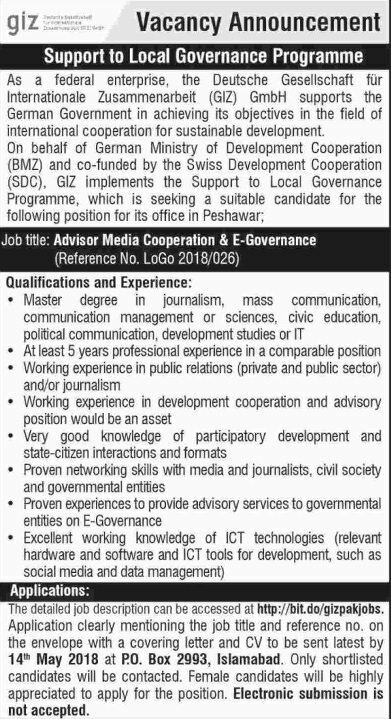 GIZ Job Advisor Media Cooperation & E-Governance Peshawar. Copyright The Daily The Dawn Newspaper Pakistan.